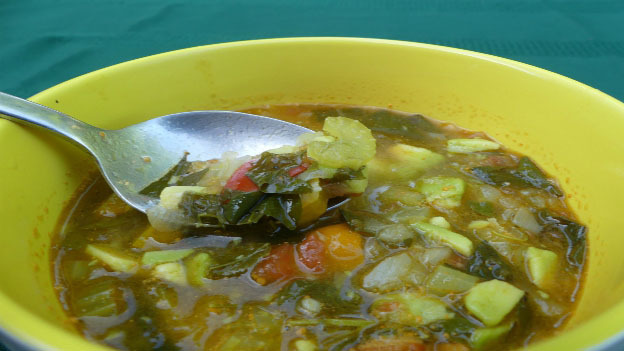 A unique soup that is perfect for a warm summer's day. Blend the first seven ingredients in blender until smooth. Pour in to a pot on the stove. Then add the last five ingredients. Simmer (do not boil) until onions celery are soft. Decorate with marigold or other edible flower petals and serve.